Two pour spouts make this beaker the most accessible one on the market. 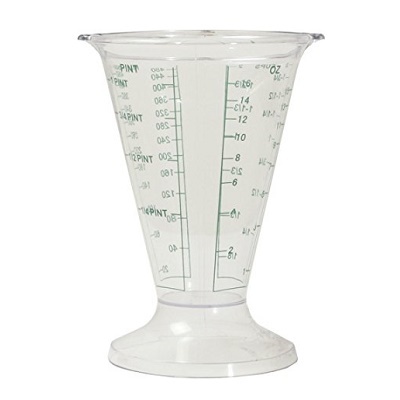 You'll never have to twist your wrist or guesstimate again because you can't read the other side – simply turn the beaker facing you to the desired measurement for your media or ingredients, then fill and pour. Use the spout on the opposite side for a second round of pouring as needed. Indoor gardening enthusiasts – both left- and right-handed – will appreciate the convenience of this beaker.